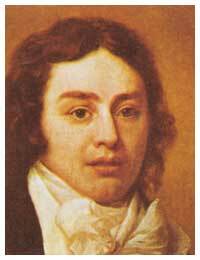 The summer of 1820 was not a good time for Samuel Taylor Coleridge (STC) to suddenly have his son on his hands. For the past few years he’d been helping John Morgan through bankruptcy. He poured most of the considerable profits from his play Remorse (performed first in 1813 at Drury and in the following few years at Bristol and Calne) into paying bills. He got loans (some from Unitarian friends in Bristol). His publisher went bankrupt in March 1819 and STC began buying back the rights to his books. Then, in November, Morgan had a stroke, and STC assumed primary responsibility for looking after his wife and sister. On the positive side, he’d been worried about the effect of all this on his son Derwent’s chances to go to university, but in May 1820 his friend and patron, J. H. Frere, produced £300 and Derwent went up to St. John’s college, Cambridge. Also, STC was in arrears with Gillman, but the good doctor seemed not to care. STC did what he could for Hartley, arranging lodgings with the Montagus, and introducing him to friends at various newspapers and magazines. He wasn’t trying to be rid of Hartley — except as a roommate. STC tried to involve his son in some of his literary projects. The first was an essay on meter, described in a letter that August, “My eldest son and myself have been laboring at an Essay on Meter and the possibility of transferring, by compensation and equivalence of effect, the measures of the Greek Dramatists to the English language.” STC gave Hartley the notes that he’d collected on the subject. The second was the elaboration of STC’s metaphysics. Hartley would help in developing the “polar logic” (STC’s supercharged Hegelian dialectics) in theology, criticism and science. He’d shown some interest five years earlier when STC was finishing Biographia Literaria. There’s no sign that Hartley got involved in either project, and in connection with the latter at least one has to admire his wisdom — great reputations, the biggest being that of the philosopher and philologist Owen Barfield (1898 – 1997), have gone down in attempts to show that STC’s philosophy made sense. For awhile, Hartley worked on an epic poem about Prometheus, but Shelley’s appeared that summer so he dropped it. He did however produce a few first-rate essays for the London Magazine. The Montagus came to like him, but he was always broke, mostly because his drinking and procrastination resulted in few assignments. Also he had the habit, like his father, of disappearing for days at a time. In the early months of 1821 he visited STC at Highgate, once for a few weeks when he got sick, and never told the Montagus where he was. In June 1821 they ejected him, and he stayed with his boyhood friend from Ambleside school, Robert Jameson, who had become a barrister at the chancery and a protégé of Lord Chancellor Eldon. Jameson was also a protégé of the Montagus and knew the Lambs, so Hartley might have ended up with him for reasons other than their earlier friendship. Jameson was much involved in literary circles; a few years later, in 1828, he and Gillman supervised the publication of STC’s Poetical Works by Pickering Press. Wordsworth says similar things about Dorothy in “Tintern Abbey,” but in that poem she merely puts the cap on Wordsworth’s engagement with nature, she is not essential to it as is Jameson to Hartley’s. Note also that Hartley has the idea that we shouldn’t think so much about or go too deeply into our sense of empathy with others and, through others, with nature. There is no analysis of nature’s influence, as there is in Wordsworth’s poems. Hartley’s heart, “wisely doting, asked not why it doted.” The joy of Hartley and Jameson was “the unknown joy that knowing kills.” Hartley may have been thinking of the dangers to poetry of those “abstruse researches” of his father’s that stole “from my own nature all the natural man.” He also may have been thinking of how Wordsworth and STC had backed away from their earlier assertions regarding nature — though he must also have been thinking that as soon as they did back away their poetry declined. Either way, he needed to explore the riddle of why his response to nature and human nature shouldn’t be understood. And the throng’d river toiling to the main? To live without a friend within these walls. Without friendship, there is no nature in the city. In the third sonnet, Hartley tells how he and Jameson, once they parted as boys, moved like two streams (“rills”) through the landscape, Jameson in Italy and Hartley himself in his “native dell.” Now they are re-united, “O’er rough and smooth to travel side by side.” The three-sonnet sequence ends on a positive note. However, it was to be rough going, for both the rills. Jameson had just gotten engaged to Anna Brownell and then, on the very month that Hartley moved in with him, had suffered the breaking off of that engagement. She’d left with her father, a painter of miniatures, and one of his students, to travel in Italy. There she kept a diary. When she returned she worked as a governess in a noble family, and worked her diary into a book. In the book she is a young girl with a broken heart traveling through Europe as the governess to a wealthy family. In 1825 the book was published as The Diary of an Ennuye and Robert Jameson and Anna were married. The book made her famous, or rather infamous, in London literary circles. In 1829 Loves of the Poets revealed that Diary was not totally fictional, and London was further scandalized. That year, Robert went overseas, and Anna refused to go. In his note to the Jameson sonnets in the 1833 book of poems, Hartley mentions that Jameson is married to Anna Brownell Jameson, author of some “very agreeable productions.” He goes on to say, “I trust the sight of this little volume will give rise to recollections that will make him [Jameson] ten years younger.” Ten years earlier would be before marriage to Anna. The relationship continued to be rocky. Jameson returned to England, briefly, in 1833 (maybe he and Hartley reunited and Jameson received the book then), and then left in that same year to take up a position as a judge in Upper Canada. Anna refused to go. The problem with wine, STC goes on to tell Dawes, could be solved simply by Hartley’s removal from London. He is too impressionable to be partying with other young men. Removal from London would also prevent any further attempts at “writing for Magazines etc.” Socializing, and imagining he could make a living as a writer, “are Ruin for him.” Since Hartley actually gave good indication that he could make a living as a writer, this judgment seems harsh, and was perhaps motivated mostly by STC’s need to be rid of Hartley. It puts a damper on the very activity upon which Hartley had pinned all his hopes, and STC must to a considerable extent have been aware of those hopes and their importance to his son. STC provided Dawes with a good explanation and defense of Hartley’s education and Hartley himself, discounting the obvious contradiction of STC’s harsh judgment of Hartley’s will power and a possible lie about “the management . . . of Children,” a talent that Hartley never had developed in the classroom context as Dawes was shortly to find out. It is possible, though, that on this point STC may have meant only that Hartley liked kids and had always been popular with them, two of the fundamental requirements for good teaching. In connection with the problem of socializing, STC could have been thinking more about Derwent. Derwent came to London for his holidays in June of 1822, just as Hartley and STC were about to go head-to-head about school teaching. Derwent partied with friends for a week, much more intensely it seemed than Hartley ever had, then went to stay with his father. He was sick with, as it turned out, the typhus that was raging at Cambridge; five young men at his College had already died. STC found a room for him close to Gillman’s, where he could be isolated, and he, Hartley and Gillman nursed him back to health, which took six weeks. Letters from Sara arrived, asking questions about Derwent and suggesting that STC give Hartley a longer try at journalism because he would not make a good teacher. Wordsworth, she reported, agreed. STC decided they were selfishly trying to foist Hartley on him, not wanting the trouble of his presence in Keswick and Grasmere. Southey sent a much clearer message: he would not have Hartley in his house. This was not because of Hartley’s personality, but because Southey felt it was time that Hartley made his way in the world, and that STC assume his responsibility to help him do so. STC seems to have accepted Southey’s rather harsh judgment, but he interpreted Wordsworth’s as interference and resented it. However, Wordsworth had a very credible reason for recommending a longer trial at journalism for Hartley. He liked Hartley’s writing. Dorothy noted, about an article entitled “On the Poetical Use of Heathen Mythology” in the February 1822 issue of London Magazine, that the style was “wonderful for a young man — so little effort — no affectation.” This is the impression given by his early sonnets, and overall the Wordsworths were correct: Hartley became known as a critic, biographer and popular historian, though he never achieved the status and certainly not the earnings of his uncle Southey since he didn’t write as much and had trouble with deadlines. He was probably a better practical (rather than theoretical) critic than his father. He was witty and candid — about himself, among other things. There wasn’t a vein of pomposity in him, though he was decisive enough in his opinions, even in his opinions of Southey, Wordsworth and STC. This is, of course, a condemnation not just of Hartley himself, but of his journalistic writings. Feeling he was on a roll, STC had it out with Derwent too, as soon as Derwent recovered. Derwent was now making demands to have friends over to the Gillman’s for dinner, complaining that he got invitations but was helpless to reciprocate. STC pointed out that, in view of his fourth class results at university, maybe there was too much reciprocating going on, too much “coxcombry,” too much “dandyism.” He suggested that Derwent had a tendency to use people — that if he had, say, stayed in touch with the Gillmans during the year, they might have been more receptive to the idea of entertaining his friends during the holidays. This was good advice and probably timely, but the way in which it was delivered made Derwent angry, and Derwent was nowhere near as forgiving as his brother. He had no reason to be loyal, never having had much contact with his father, and his needs, including now his university expenses, were provided for by other men. His mother increasingly made demands that he show STC some respect. He politely but resolutely ignored these requests. Early in October Hartley asked STC for some money to pay off his debts so he could leave London. They agreed to meet later in the day, so STC could provide some funds and say goodbye, it seems. Hartley never turned up and STC was never to see him again. But STC had his way, and by 19 October 1823 Hartley was working at Ambleside school and staying with Dawes. He then moved to the Red Lion Inn, and then to the home of a friendly farmer. Dawes tells Dorothy Wordsworth he is obviously inexperienced but “very steady.” Hartley wrote to his father saying all was well, and Sara wrote confirming this. STC was happy, justified in his decision though troubled by Hartley’s evident reluctance to write letters and divulge information and suspicious that this was because of the way he had pushed him off. Late in the evening I saw such a figure as I had never seen before glide noiselessly into the bright drawing room, small, dressed in black, with thick, long, raven hair almost on his shoulders, in such a manner as to fill up the space between, and to give the upper part of his form a peculiar preponderance over the lower. In his manner of approaching the lady of the house, his stiff, slow, silent bow, a sort of distressed shyness in his countenance, and a depreciating politeness . . . in his whole demeanor there was something strange and unusual. His humorous air of simplicity, his slow measured words, and general eccentricity of manners and appearance, was at first a signal for merriment. But that evening was the beginning of an affection which existed between us in uninterrupted continuance as that of a brother for a young sister, and was on my part fed yet more by the beauties of his moral nature, than by my high appreciation of his intellect and his genius. Four of those caring friends were the Wordsworths, and Sara appreciated this and began to see her rivals for her husband’s affection in a new light. She and Asra became good friends. An 18 October 1826 entry in Dorothy Wordsworth’s journal says that Suart’s school is “done up. Hartley writes for magazines.” In 1827 Hartley moved from Ambleside to Grasmere and lodged with a Mrs. Fleming, the widow of a farmer. She became devoted to him and he to her. He entered into what seems to have been a happy period of his life, though it involved a lot of drinking and vagabondage. He earned some money from his writing and was given some by his mother. He stayed away from her, however, and from the family except Derwent who visited occasionally (and who was now doing well as a student). Asra and Mary Wordsworth sent news to Sara: “from time to time we have heard of him, calling at this house or that — where he was supplied with a meal — and housing at night in Barns etc.” The Wordsworth’s “commissioned everyone likely to see him with a message requesting him to come to Rydal Mount.” He never did. Hartley wrote to everyone but STC. He didn’t turn up, even, when his beloved sister married a cousin, Henry Nelson Coleridge, in Keswick in 1829. STC didn’t turn up either — she was given away by Southey, who also paid the bills for the wedding. When Hartley’s mother went south that year to live with Sara and her husband, she passed through Grasmere and visited the Wordsworths, hoping to see Hartley. The Wordsworths had spread the news of her arrival hoping Hartley would hear it. But though she prolonged her visit hoping to see him, he never appeared. She left money with the Wordsworths to help him out. He wrote an apologetic letter, but she was never to see him again. Like his father, Hartley avoided people about whom he felt guilty. The more he stayed away, the guiltier he felt. His letters and poetry express this guilt and contrition, but other than that he seems to have found in his isolation a kind of productive peace. An entry in his diary for Sunday, July 25, 1830, presents a fairly bright picture of his life. He records the weather (heavily overcast), and that he rose at nine, found his breakfast ready, and saw John Wordsworth going to church (John had become a clergyman). He hailed John and then determined to hear the sermon. On the way he found himself thirsty and stopped at the Red Lion to take “a sober potion of John Barleycorn” (a small amount of beer and/or whisky). Amazingly (he implies) he got to church on time. He found the sermon admirable but wondered if John (or anyone) should preach in Wellingtons. After church he went for a walk, had a glass of wine with Mrs. Fleming, worked on an essay, had a bacon-and-egg dinner (“nothing better”), read about Byron’s last years, smoked a pipe and went to bed. In another poem, on the occasion of New Year’s, he acknowledges the artificiality of the celebration, but affirms that it is important to encourage hope and that the conviviality of the celebration does just that: “Kind hearts can make December blithe as May/And in each morrow find a New-Year’s day.” He also celebrates the melancholy he feels in nature, welcoming the arrival of November: “I gladly wish thee welcome, for thou wear’st/No flaunting smile to mock pale Melancholy.” Hartley loved to nurse his sad feelings, but he found happiness with friendly people. Time is my debtor for my years untold. Its Father’s frown, its Nurse’s mimic rage. Since what I grateful wish, in wishing ends. His ultimate hope, he says, is in Faith. Though he indulges too easily in “the mere mendacity of self-contempt,” he claims that that “has not so far debased me, but I know/The faith, the hope, the piety, exempt/From worldly doubt, to which my all I owe.” No bitterness, in other words, no descent into cynicism. Hartley does not define Faith theologically but through his experiences with his local Christian congregation, and his general feeling of friendliness and conviviality when he is with others. He admits that he has not worked very hard to resolve his own problems, has indeed fallen in love with them, so his need for faith is not so strong that he has to explore it. In Hartley, the mysteries are always best left untouched in poetry, especially the mystery of Faith (an acceptable kind of Hope). Again, he has an excuse. Poetry is not what it used to be. “The notes of thought-suggesting lyres” like those of his father and Wordsworth — the shade of Wordsworth is always, more than that of STC, cast across Hartley’s poetry — are heard, but “the strong soul, the self-constraining will/the rugged root that bare the winsome flower/Is weak and wither’d.” If we were “fays” (fairies — Hartley often described himself as “fay”), lurking as stories have it in flowers or seashells, we would be sustained by contemporary poetry. Because we are real people, the verse of “our pretty modern Philomels” does not suffice. So sweet, so cruel, as a knack of verse. Glad as the wild bee ‘mid a bed of thyme . . . He breathes in bliss, if bliss may be below. Pass some few years — and see where all will end. The Muse’s vagabond, he roams forlorn. And pinch’d with hunger, wail the woes of love. Renounce the World, the Flesh, the Devil, and Rhyme. This was accepted as a joke. Hartley couldn’t be said to have written for money. He wrote to please. STC himself was pleased with his son’s book, and proud of its dedication to him. He was also pleased that the reviews were good. The merits of the book, recognized by the critics, are that it is easy to read and yet not facile in that the poet comes across as an interesting case. This is where Hartley really shines, in the quality of his light-hearted self-portrayal. The quality is evident in Hartley’s knowledge and comically candid admission of his own limits. There is nothing like this in STC and Wordsworth. They spoke prophetically, with consummate rhetoric, their personalities disappearing into their poetry. Reading Hartley, you got interested in him, and you had to like him.